Scheduling software: Starbucks promises to do better, but low-wage workers need legal protections. Starbucks vows to do better after the New York Times reports on how its scheduling software impacts workers’ lives. Jodi Kantor published a devastating exposé in the New York Times this week, detailing the latest fresh hell visited upon low-wage workers by their corporate bosses: erratic work schedules created by “software that choreographs workers in precise, intricate ballets, using sales patterns and other data” to figure out how many hands are needed on deck at any hour of the day. These programs cut labor costs at the expense of workers, who don’t know when and how many hours they’ll be working, and often only have notice of their schedule a couple of days ahead of time, leaving them in a constant scramble to figure out how to work out child care and other life obligations. Kantor followed 22-year-old Jannette Navarro, a single mom who works at Starbucks. Navarro’s erratic work schedule means her life is in constant chaos. Friends and family members often can’t make plans because they might be called upon to baby-sit for her at the last minute. She can’t go to school or even learn to drive because those things require scheduling ahead of time, and she has no idea when work might need her. She eventually ends up a homeless couch-surfer as the conflicts created by her work schedule ruin her relationships with family and a boyfriend. All to earn a precious $9 an hour at Starbucks. The story was so devastating that Starbucks responded quickly, announcing on Thursday that they’d be making changes so that workers don’t have to give up having a life off the clock. 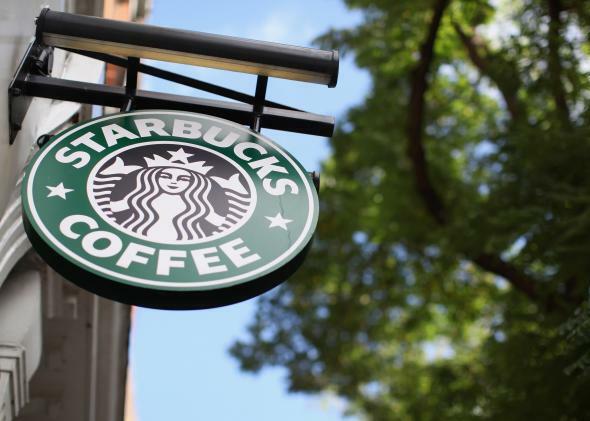 Cliff Burrows, the group president of the American stores, said Starbucks would at least stop asking people to close at night and show up early the next morning to open and will make sure workers get notified of their hours at least a week in advance (a policy that was already in place but not enforced). Still, a week’s notice is not a lot, and it’s unclear if there will be more substantive changes that will introduce more stability into the week-to-week lives of its workers. Of course, the problem extends far beyond Starbucks. As Kantor notes, “many other chains use even more severe methods,” going so far as to require that workers consider themselves “on call.” Being on call used to be only for people in extremely well-compensated jobs—doctors, for instance, whose high salaries justify demanding that they drop what they’re doing to handle emergencies—but such is our economy that people are desperate enough to give 24 hours a day over to an employer, hoping to get paid minimum wage for six of them. For people who need two or more part-time jobs to survive, this sort of thing makes that impossible, since you can’t be sure that your two bosses won’t suddenly demand you work at the same time any given week. Single mothers trying to raise a family on the meager salaries these employers offer are affected worst of all, as Kantor’s reporting shows. Day care is built around the idea of a parent working a regular schedule, not an erratic one. Many women end up drafting family members into covering child care for them, but family members have their own jobs and lives to attend to and can’t always lend a hand. Even something as simple as picking up a kid from school becomes a nightmare for you or the people you depend on if you don’t know when you’re needed where. This story is particularly upsetting in an era when there’s a lot of chatter in work-life balance conversations about the value of “flex time.” But Kantor’s reporting shows that flex time only works if the employee herself is in charge of the scheduling and can cut out of work early on Wednesday for her kid’s doctor’s appointment by making up the work on Saturday. But for low-wage workers whose schedules are usually based on the whims of management—or on the algorithm of a software program—flex time means your employer gets all the benefits of flexibility and you shoulder the burden. It’s great that Starbucks is now considering making its scheduling system less onerous on employees, but this situation is so endemic and severe that a few internal changes at one or two companies is not enough. While some states, such as California, offer a few protections for employees, such as requiring your boss to pay you for some scheduled hours even if you’re sent home early, it’s not enough. Legislators need to do more, because expecting corporations to voluntarily give up the profits they earn by shifting around their employees at a moment’s notice is not going to cut it. It’s hard enough trying to get by on the low wages paid in the service industry—the least we can do is guarantee these workers a chance to have a life that isn’t chaos off the clock.